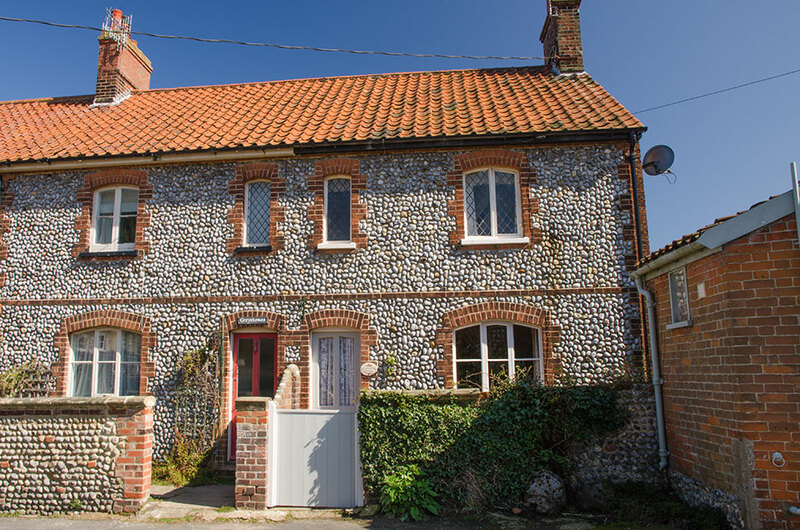 Tucked away in a quiet lane stands Gardeners Cottage – built in the traditional flint style this delightful holiday cottage is a wonderful place to stay for couples or smaller families. 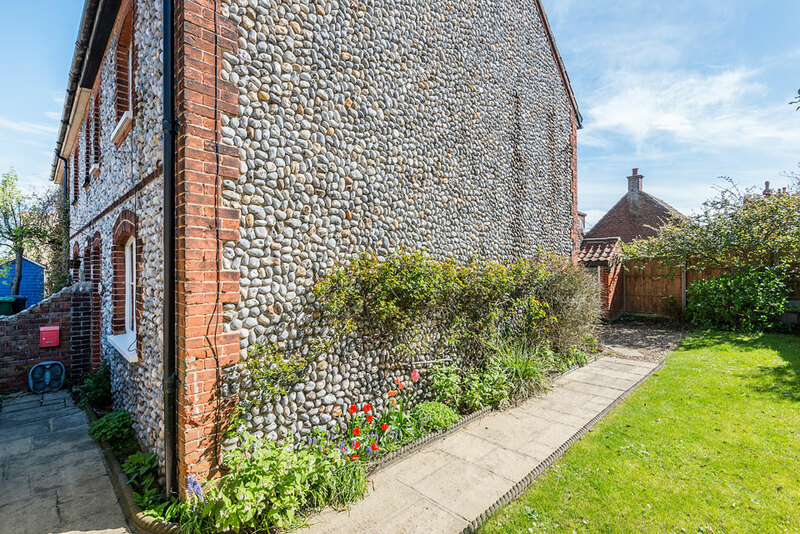 The enchanting lane on which is stands, known as ‘The Londs’, leads directly to the beach and is perfect for holiday makers looking to make the most of this seaside location! Built around 1860 Gardeners Cottage has been in the owner’s family for many years. As a repository of countless happy memories it has been lovingly decorated and furnished whilst still retaining many period features, such as the original sash windows. Downstairs the cosy living room is pleasantly furnished, featuring polished wood flooring. A warm rug lazes in front of the fireplace with its wood-burning stove (just begging to be lit and snuggled up in front of at the first opportunity!). Modern entertainment needs are catered for by a Digital Television & DVD Player. Upstairs at Gardeners Cottage is the Victorian style bathroom – with WC and wash basin, with shower over the bath. Both comfortable bedrooms at Gardeners Cottage feature reproduction Victorian style bedsteads – with a decadent King size in the master bedroom and two cosy twin beds in the second bedroom across the hall.